We've been hearing about the impending dawn of self-driving cars for a while now -- a few semi-self-driving cars are up for sale already, and they were easily the most believable innovation in the science fiction blockbuster Jurassic Park. So the question we've had for a while has been: When are these things getting on public roads? The answer is now. 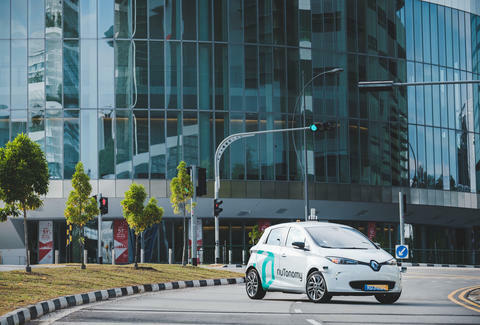 NuTonomy, a self-driving company that started at MIT and is now based in Cambridge and Singapore, has officially begun testing self-driving taxis on the streets of Singapore in a business district called 1 North, an area of only about 2.5 square miles. The test is limited to a select number of riders and just six cars, a fleet nuTonomy hopes to expand to 1,000 by 2018. An Associated Press reporter taking a ride Wednesday observed that the safety driver had to step on the brakes once, when a car was obstructing the test car's lane and another vehicle, which appeared to be parked, suddenly began moving in the oncoming lane. Either way, it's an exciting step forward in this new technology, a version of which will be hitting American streets very soon as Uber and Volvo gear up to test their self-driving cabs in Pittsburgh. Eric Vilas-Boas may not drive much, but he firmly believes nothing will replace stepping on the gas to do 90 m.p.h. on a Texas highway with the wind in your hair and the sun at your back. Follow him on Twitter.